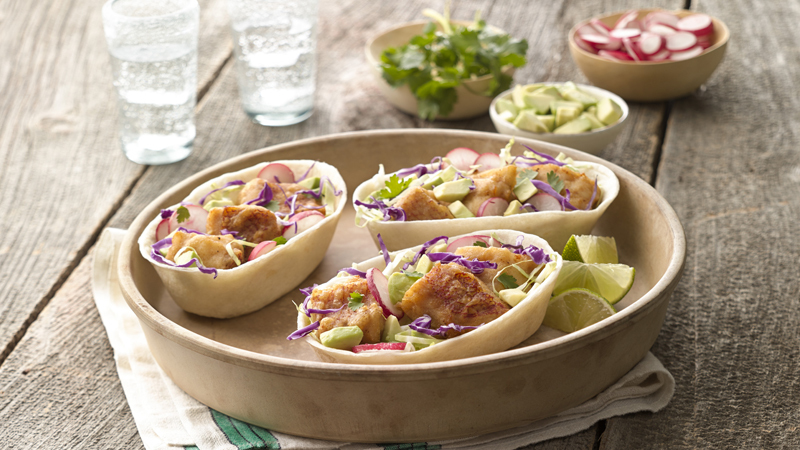 Crisp and golden battered fish in tortillas with crunchy radish and cabbage and creamy avocado. 1. Heat the oil in a deep fat fryer or heavy-bottomed pan, coming up about 5 cm, to 180°C, or until a small piece of bread browns in 10 seconds. 2. Beat together the flour, beer, chilli powder and salt, in a medium bowl, until smooth. Coat the fish in the batter, then add to the fryer or pan in batches. Cook for 3 to 4 minutes, stirring occasionally, until golden brown and cooked through. Drain on a paper towel-lined baking sheet. Keep warm while frying the remaining fish. 3. 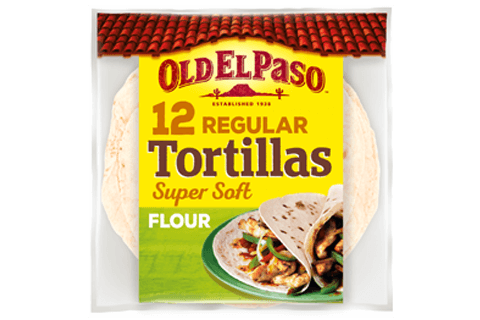 Heat the tortillas to pack instructions. Fill the tortillas with the cabbage, radish, avocado, coriander and fish and squeeze over a little lime juice. Serve with extra lime wedges. Great also served with salsa and soured cream. Alternatively use chicken instead of fish. Increase the cooking time slightly to make sure the chicken is fully cooked through.